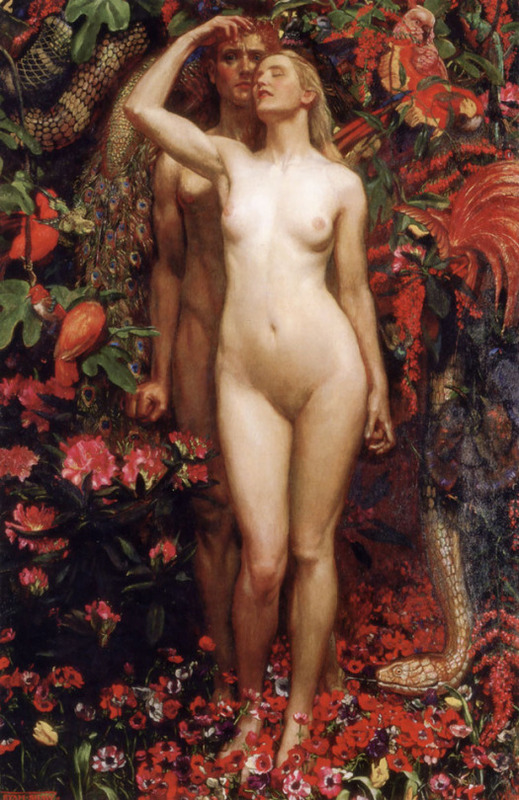 John Byam Liston Shaw was influenced by the Pre-Raphaelites and worked in a wide variety of mediums. Today he's best known as a teacher and not an artist in his own right. Obviously this is a depiction of the Garden of Eden. Pay special attention to how the man is so passive, even to the point of being hidden behind the woman. He's still tense and resisting, but he obviously doesn't want to be there. This is emphasized by him being in the shadows.